Dallas likes to do things ‘big and best’. So the city’s new loan show, ‘Treasures from the House of Alba’, suits it well. Over 100 pieces selected from three palatial Alba homes – Las Dueñas, Monterrey and Liria – fill a floor of the Meadows Museum built on the immaculate Southern Methodist University campus on the fringes of the city. On a Thursday evening earlier this month, some 700 locals donned their suits and jewels and drove out to the members’ opening, briefly sampling the Spanish tapas and gazpacho before heading up to the galleries to get to grips with Spain’s most illustrious household, whose roots date back to the mid 15th century. Rarely for an art opening, there was more study than socialising. The show is a fitting one for the museum. Algur H Meadows (1899–1978), whose business trips took him to Spain, founded the institution 50 years ago with his collection of Spanish paintings, hoping it would become a ‘Prado on the Prairie’. Now, thanks to his formidable gifts and the financial support of the Meadows Foundation, the collection has a handsome home and is indeed one of the best outside Spain. Mark Roglán, formerly of the Prado, has been the Meadows’ director since 2006 and nurtures close ties with Spanish collections. The broad range of loans by the current (19th) Duke of Alba provides something for everyone. 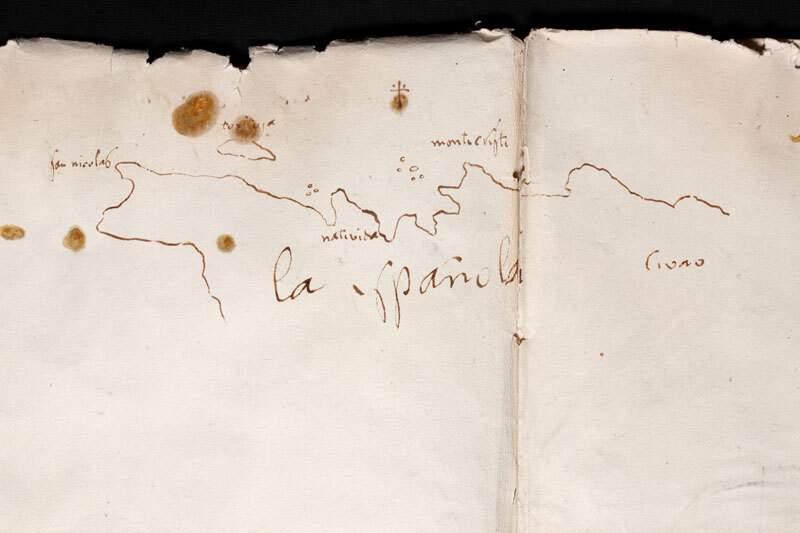 They include Christopher Columbus’s logbook in which he notes landing in the New World at Hispaniola. 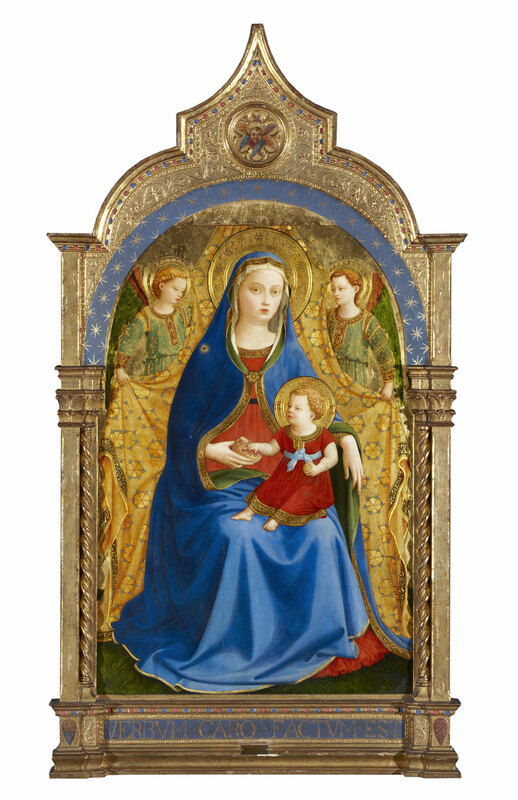 There are prints by Dürer, a tapestry by Willem de Pannemaker, Fra Angelico’s Virgin of the Pomegranate (c. 1426) and, of course, a succession of Alba family portraits. An early one of around 1570, reattributed from Titian to the Flemish painter Anthonis Mor, shows the 3rd Duke bearded and bedecked with the Order of the Golden Fleece at the pinnacle of his successful career as both soldier and adviser to Charles V and Philip II. 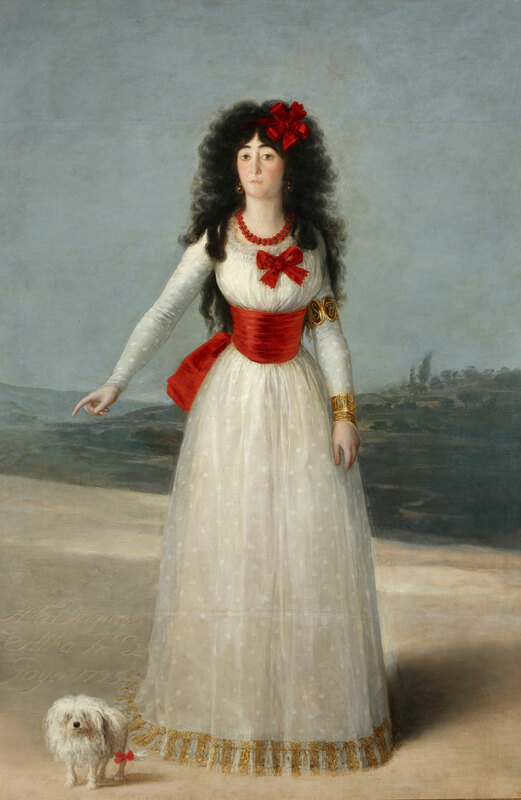 The glory of the show is Goya’s full-length portrait of arts patron and seductress Doña María del Pilar Teresa Cayetana de Silva-Álvarez de Toledo y Silva, the 13th Duchess of Alba. Painted in 1795, it usually hangs in Madrid’s Liria Palace and is perhaps the finest of several he painted of her – another is in the Hispanic Society of America, New York. Her seductive mane of black curls is set off by her fine white muslin dress and blood-red wide sash, beads and several bows – one is tied to the hind leg of her dog. Court rumour was rife about her possible affairs with Goya and others. Certainly, Goya received Doña Maria at his studio in 1794, because on 2 August he wrote to his good friend the enlightened merchant Martín Zapater: ‘You had better come help me paint the one of Alba, who came into my studio yesterday to have me paint her face, and had her way; and I might add that I like it more than painting on canvas, and I also have to paint her full-length’. 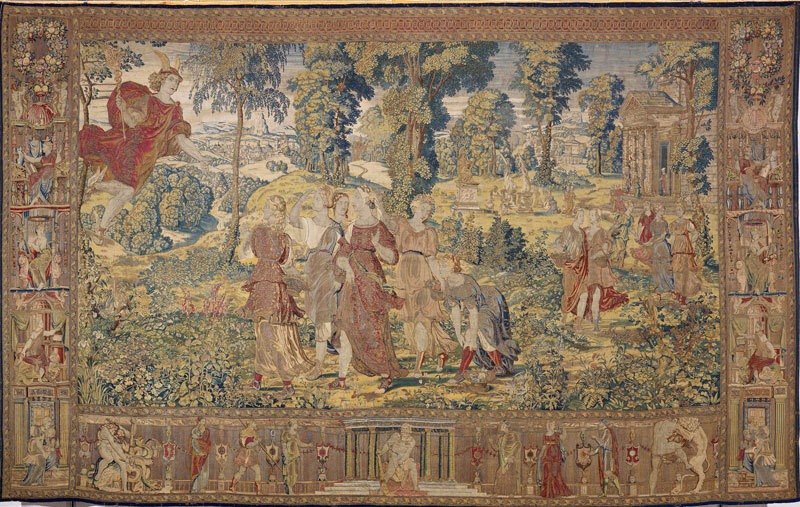 ‘Treasures from the House of Alba: 500 Years of Art and Collecting’ is at the Meadows Museum, Dallas, until 3 January 2016. The show continues to the Frist Center for the Visual Arts, Nashville (5 February–1 May 2016).